You’re on top of your game. You’re the boss and you have a corner office to prove it. Yes, it definitely took a lot of hard work to get to where you are now, but what got you to the top may not be enough to keep you in this position. Being the boss can make anyone prone to a huge ego, and if you don’t realize this early, it can ruin your career. You might think the company you are leading is number one in your field. But who is to stay it will be number one forever? Every business has a competitor. In today’s competitive environment, it’s not uncommon to see startups disrupting once impenetrable industries. Just look at the way Uber disrupted the taxi industry. If you think that you don’t have a competitor, it’s either you didn’t search thoroughly enough, or you are blinded by your own confidence. A good business executive acknowledges his competition, and keeps an eye on that competition to avoid unwanted surprises. What’s the first thing some executives cut when their revenues tank? In most cases, the marketing department takes the first hit. Why cut the budget of the department that can get you more NEW customers? Even if you think your product is good enough that you don’t need to market it, you’re still wasting opportunity. So many products exist in the market, that it’s hard for consumers to know all their options. If you don’t market your product, only your employees and existing customers will know about it. Your business won’t grow if you don’t spread the word about it. A good executive knows that having a great product or service isn’t enough. Even big brands like Apple and Google rely on some form of marketing to get people’s attention. Yes, you’re the boss and you’re probably better than your subordinates in some skills. But that doesn’t mean you should do everything. You have a team so you can delegate tasks to them, so you’re free to focus on more important tasks that only you can handle. Besides, you can’t be the best at everything. If there’s a manager better at finances than you, let that person step in and handle the company’s budget. 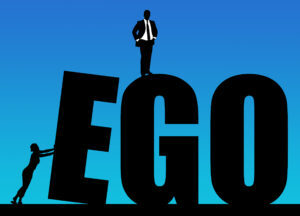 Arrogance will hinder your company from growing, and in turn might shorten your tenure as their executive. Humility is an important virtue if you want to have a long and successful career as an executive. Be open to the fact that you don’t know everything. There’s nothing wrong with asking for help when you need it.